Because ingredients matter, and so does having the option to eat clean. 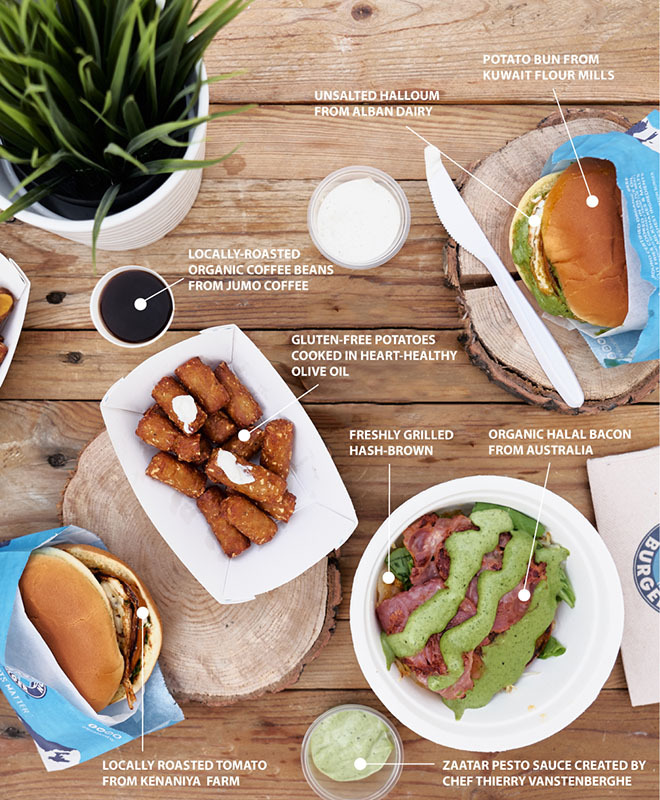 We, at Elevation Burger are committed to continuously look for ways to provide healthier and smarter food choices for our guests to enjoy high quality food without worrying about the source of ingredients. In 2016 we began working on an organic breakfast menu that has undergone a journey of collaboration and experimentation for over eight months to become the simple straight forward menu you enjoy today. 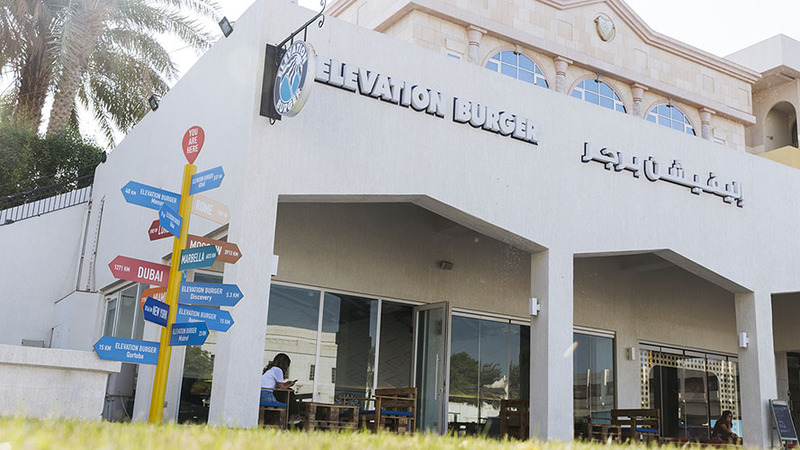 We are proud to say that Elevation Burger Kuwait is the only location worldwide that carries a unique organic and create-your-own breakfast menu and is now leading this initiative globally. We Want You to Eat More Organic! Our Breakfast is exclusively served at our Elevation Burger AlSeif location and is described as a fast-casual experience that is convenient, delicious, freshly made to order with premium ingredients. The ‘create-your-own’ breakfast concept allows guests to customize their own breakfast based on their personal preference and shows that food served fast doesn’t have to be a ‘fast-food’ experience. 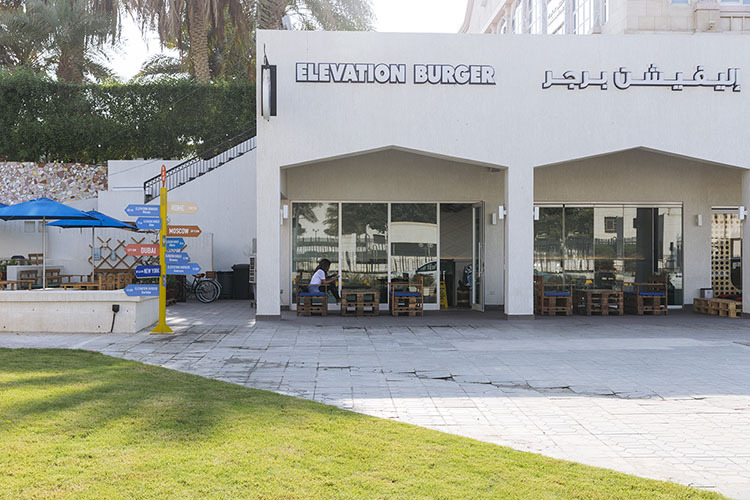 With fresh and locally sourced ingredients, guests can now find what they have really been missing in Kuwait, a breakfast on the Elevation way. Creating our breakfast menu was an interesting journey as we wanted to include a wide range of organic food options that are easy to prepare by our staff and consume by our guests. We began by searching for talents that can help us develop the right cooking procedures and recipes that aligns with our capability in the restaurant. One of the talented and interesting people we worked with was French chef Thierry Vanstenberghe. Chef Thierry worked with the team to create the right procedures to ensure a smooth transition between breakfast and lunch as we wanted to develop a breakfast menu that consists of organic eggs prepared at the same kitchen that was cooking our organic burgers, to be cooked in a timely manner, and to be served in a presentable way to our guests. While Chef Terry was busy developing the cooking procedures in the kitchen, our team worked with our beef supplier in Australia to create the right organic bacon and organic sausage that would be essential items on our breakfast menu. We also worked with local and organic suppliers for sourcing ingredients that compliment our kitchen such as organic eggs, organic bacon, organic sausage, organic coffee, and fresh potatoes. The menu also includes local favorites such as unsalted Halloum from Alban Dairy which locally produces their cheese in Wafra at Yasmeen farm and organic vegetables from Kenaneya Farms. Now, how could we possibly serve organic food without organic coffee? That’s right, we wanted to find coffee beans that are organic and locally roasted to stay true to our core values. We searched amongst the 20+ local specialty coffee places in the city but faced some obstacles finding the right supplier such as their limited capability to supply, unavailability of organic coffee beans, or not roasting locally. That wasn’t going to get in our way, the search continued until we found Jumana, the owner and roaster of Jumo Coffee who is currently supplying us with organic coffee beans, local roast, and grind that fits our desired French press coffee offering. Today, we are proud to have successfully created a breakfast menu that is consistent with our food philosophy at Elevation Burger and fulfilling to our purpose and mission at TABCo in making more sustainable and smart food choices available for our people. We continue to advance our food offerings and seek to get as much locally sourced ingredients as possible to better our community. Based on our guest requests, today we added guacamole and an egg-white option to add a variety of organic options to our menu offerings. In our perfect world today, our guests could start their day with organic eggs, grab an organic beef burger for lunch and end the day with an organic veggie burger for dinner. A full organic day for old time’s sake!